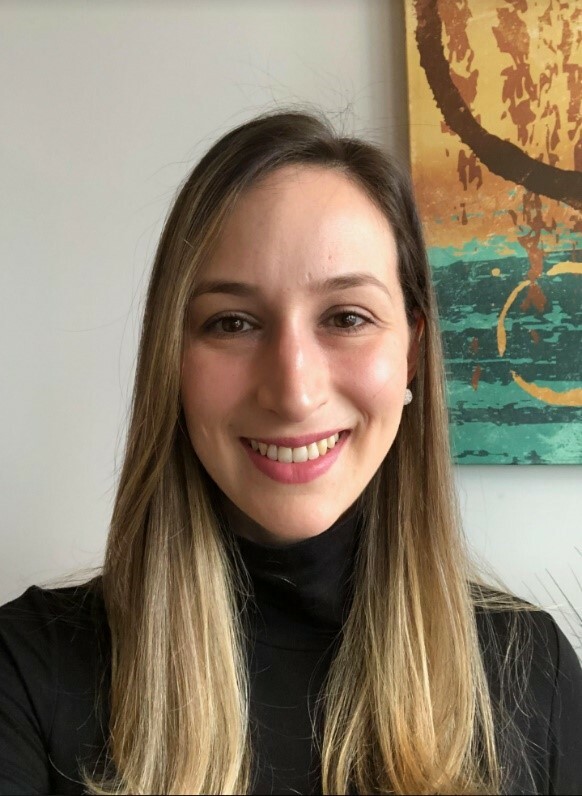 I am Ana Moraes, I am a Postdoctoral fellow at Northwestern University in the Materials Research Center. My research at NU is focused on the development of functional nanomaterial inks for integration in printable battery components. I am also currently involved with the NU Postdoctoral Association as a chair of the career and professional development committee at the Evanston campus. I was raised and educated in my home country and I earned my Ph.D. in Chemistry in 2015 at University of Campinas (Brazil), where I conducted studies on the synthesis and characterization of nanomaterials applied to advanced functional composites for biomedical applications. I was a curious child that questioned everything, very passionate about natural phenomena and scientific discoveries. And my parents, who do not have a college degree, were able to provide me with a lot of books, which opened a whole new world for me and sparked my interest in the STEM field. That said, I am the first person in my immediate family to attend university and the only one in my extended family to pursue a Ph.D. degree. As a scientist, I believe that knowledge and education are agents of change and transformation in our society. The Chicago Women in STEM is a supportive network that keeps me empowered to pursue my career.